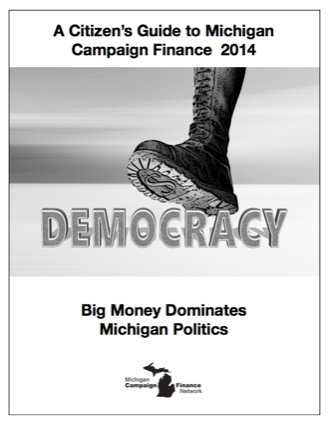 This document examines the money in Michigan's 2014 election. Candidates and independent committees raised and spent $134,610,000 in the 2014 election cycle. That total is up by 25.6 percent compared to the corresponding total from 2010, when constitutional executive offices and the Michigan Senate were last on the ballot.